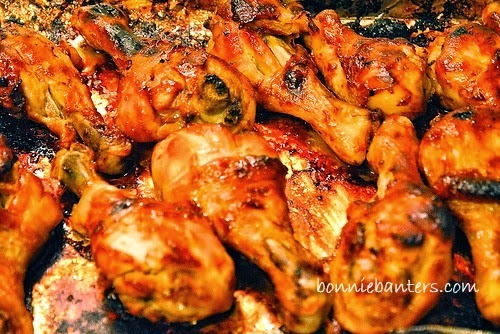 Bonnie Banters: Finger-Lickin' Good Oven-Barbecued Chicken Drumsticks! 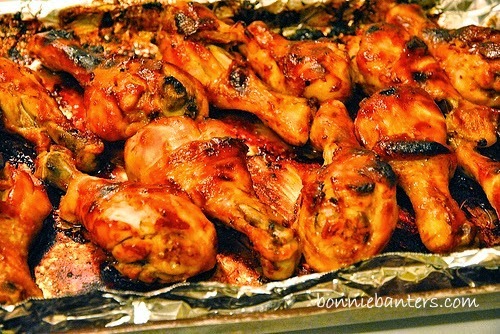 Finger-Lickin' Good Oven-Barbecued Chicken Drumsticks! Brought in by the recent rain, the cooler temperatures created a craving for a good oven barbecue. I just drooled when I saw Bea's beautifully glazed drumsticks on her blog Küchenzaubereien, and I knew this enticing dish would satisfy my barbecue craving! A real crowd-pleaser, you'll love how easy this delectable oven barbecue is. These mouth-watering drumsticks make a terrific family dinner, take-along dish or snack...just be prepared that your diners will be grabbing them up before you can serve them! For the marinade, whisk together in a small bowl 4 TB of the barbecue sauce with the sugar, vinegar, salt, pepper and Tabasco sauce. Set aside. In the thickest part of each drumstick, using a sharp knife, cut to the bone two slashes, about 1" apart. 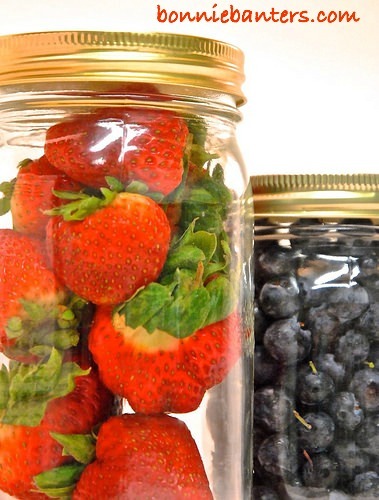 Put the drumsticks into a sealable, gallon-size food storage bag; and place the bag into a 2 qt. shallow baking pan or dish. Pour the marinade into the bag with the drumsticks. Press most of the air out of the bag and seal tightly. Shake the bag carefully to distribute the marinade and lay it back into the pan. Gently press the bag to spread the drumsticks evenly as possible and place in the fridge to marinate overnight, or at least 4 hours. Line a shallow baking pan with heavy-duty foil. Brush the foil lightly with the oil. Transfer the drumsticks with tongs to the prepared baking pan and space uniformly apart. 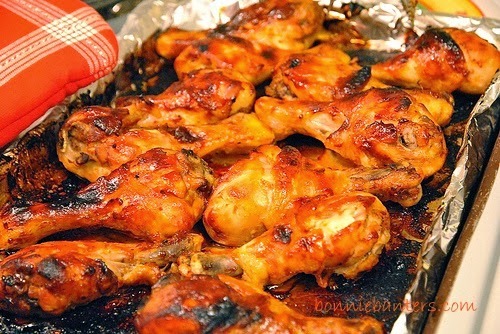 Discard the marinade and brush both sides of the drumsticks with some of the barbecue sauce. Bake for 5 minutes, then remove from the oven and brush generously with more barbecue sauce. Return to the oven. In 15 additional minutes, remove from the oven and baste again with the sauce. In 20 more minutes, repeat the basting and then baste again one last time in another 20 minutes. Remove from the oven and carefully drain the juices from the pan. Cook another 20 minutes without any additional sauce. Cover as necessary a few minutes before completely cooked to avoid over browning. Total cooking time is about 1 hour and 20 minutes; or until, in the thickest part of the meat, the juices run clear when pierced with a skewer and a meat thermometer registers 180º. Have plenty of napkins on hand when you serve these finger-lickin' good drumsticks; and oh, that's for the drool on their faces when your diners spot them! Enjoy! That looks so good...I love the dark meat parts, they are so overlooked and so great for barbecue. These drumsticks look delicious. Thanks for yet another great southern recipe. Oh I'm totally craving BBQ chicken now! Don't you love drumsticks? Such an affordable and delicious cut of meat! 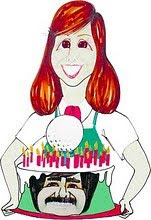 One of my favorite foods, ever--these look great, Bonnie!